If you happen to get sucked into the vortex of Pinterest from time to time you will relate to my dreaming of all the beautiful images and spaces it has to offer. 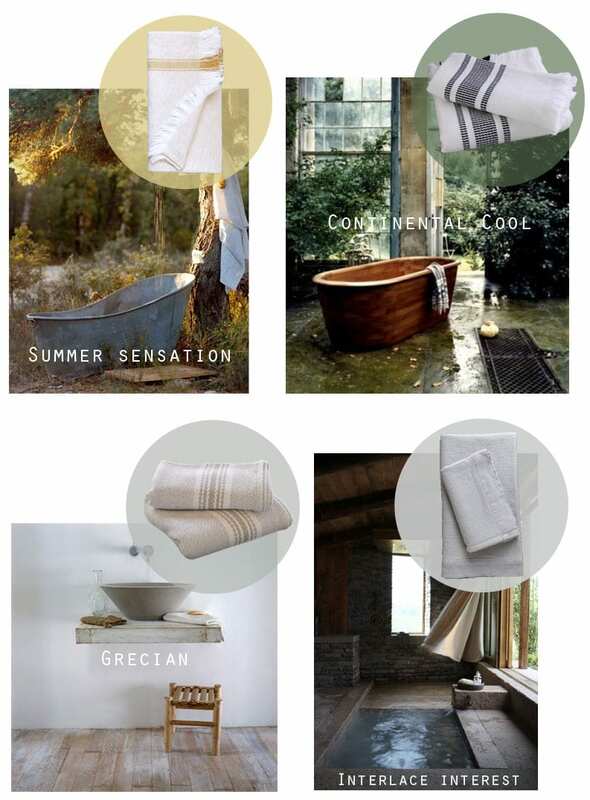 Here is some inspiration using our towels, think a bathroom renovation is in order? Wish! You can follow us on Pinterest here. All interior shots sourced from Pinterest and belong to their respective parties and towels Mungo. Posted in Products and tagged inspiration, pinterest, textiles. Looking for that perfect Christmas gift for the littlest member of the family? Look no further. In the sixth edition of Christmas Gift Guide we’re inspiring you with our range of soft, safe and beautiful baby blankets – a stunning gift for any baby this Christmas. Whether you go organic, woolly or traditional, feel inspired by our stunning colour ways and textures and make a baby very happy this festive season. The Hattie Tea Towel. Pure cotton kitchen cloth. Sturdy and durable with a true selvage woven on the antique Hatterleys Loom. To facilitate more colours and greater volume we’ve moved the production of our striped Kikoi range to our Dornier machines. Welcome the South Kikoi.